“JUULing” is on the rise amongst the youth in Collier County. Drug Free Collier learned of this by talking directly with teens during our outreach events over the past year. The term refers to using a JUUL, a type of e-cigarette introduced in 2015. This item is not deeply associated with the usual vaping culture, instead promoted heavily as an alternate smoking method. Just like all other e-cigarette products though, the JUUL’s purpose is to deliver nicotine (a harmful and addictive chemical) into the body via an aerosolized liquid. There are a few key differences that allow the JUUL stand alone when compared to other vapes/e-cigarettes. 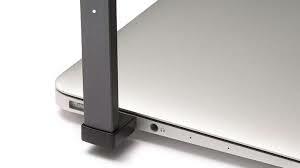 The JUUL is very modern in its appearance. The overall design does not resemble a standard e-cigarette or vape pen and the unit can be confused for a USB stick at first glance. This means it would not look out or the ordinary in the hands or bags of students. The JUUL produces a smaller vapor cloud than standard e-cigarettes or vape pens. This means it is much easier to disperse and hide the evidence of usage. The smell left after JUUL usage is described as “fruity” or “sweet” depending on the flavor pod. This allows the scent to be passed off as lotion or body spray. These differences can lead to youths taking up the habit because they don’t view it as being the same as vaping or smoking. But “JUULing” is vaping, and vaping is a modern method of smoking. 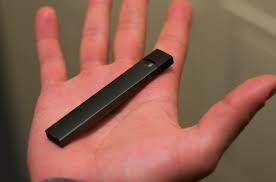 Many youths are unaware that nicotine is even present in the JUUL, believing the pod to only contain the flavor liquid. There is also the impression that by specifically removing the burning of tobacco, and the carcinogenic chemicals that result from it, these alternate smoking methods are “completely safe.” The reality is that while it may be safer, there are still health risks involved. The biggest risk from use is nicotine addiction, the effects of which are well documented. The flavor pods may also contain chemicals that have been known to potentially cause cancer, such as diacetyl. There have also been reports of people developing “wet-lung” from vape usage and modified vape pens inflicting injury from the battery exploding during use. The full, long-term effects of vaping have yet to be determined as the FDA has not started proper testing of vape products, but they do regulate it the same as tobacco smoking. So if you hear teens talking about “JUULing,” just know they are really talking about a new method of smoking. For more information on the effects of nicotine on youth development, please click here: NIDA Tobacco/Nicotine/E-Cigarettes.